Over a billion people use Facebook on a regular basis. With such a massive base of active users, the site is one of the best advertising tools available in the entire world. Where else can you reach 15 percent of the global population with a single post? If you haven’t utilized Facebook advertising for your site, you must start now. Here are six Facebook features that marketers and business people should employ. Facebook frequently changes its style in order to remain topical and fresh. Founder Mark Zuckerberg is a firm believer that maintaining status quo is horrible for a website. The latest version of Facebook includes news feed customization, and this implementation has worried some marketers. They fear that their hard work in garnering attention for their Facebook pages is now wasted. Facebook employees explained the brutal reality behind this change. 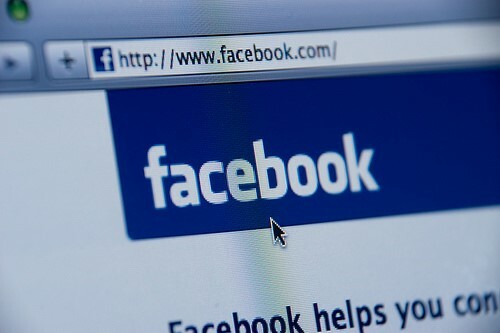 Competition is creating problems for reaching the top of the news feed, and Facebook is taking steps to address it. That’s actually an advantage for you. Teach your customers how to place your content at the top of their news feeds, and you’ll garner better Facebook rankings while paying less in marketing. Presuming you have more than one product to advertise, Facebook has historically limited your exposure. Their system allowed a single ad placement of post headline, image, text, and description, along with the product URL. Now, they’ve added a carousel feature. You can effectively slot several sales pitches in a single placement, increasing the volume of products you can market simultaneously. Facebook has changed their video rankings several times recently. They understand that internet traffic projections strongly suggest that video will drive clicks in future years. Rather than risk getting left behind by competitors such as Google that are more strongly positioned in video, Facebook plans to reward the best videographers. Their latest strategy rewards users who upload videos by using the 1080p HD camera on the Apple iPhone 6 or other smartphones. Your feature video will become the top post under the Videos tab on your page. Facebook prioritizes videos exclusive to their site over ones from competing organizations such as YouTube. By choosing to upload on Facebook, you’re more likely to get higher view counts, which increases your social signals score. Just make sure you’re on a reliable network like T-Mobile, so you can be confident that you’ll have fast upload speeds. For the same reasons as above, Facebook encourages marketers to build a lot of videos. You now have the ability to create playlists. It’s easy for you, and it’s easy for users. Again, the benefit is that you’ll enjoy more views and more shares. You might even consider crafting videos in a way that makes people want to watch them consecutively. This can lead to increased watch counts across your entire video library. There’s no point in doing any marketing if you don’t track results. With Facebook, there were previously two pixels that denoted clickthrough performance. The problem was that the information from the two was easy to mix up, leading to imperfect tracking data. It’s been the bane of marketers for years now. Facebook has finally corrected the issue by building a single widget that does everything you need. This custom audience pixel will provide more precise tracking while delivering less overwhelming data. It’s faster and more efficient. This change is the most important one for your bottom line. Facebook’s lack of payment transfer between parties has been a glaring weakness in an otherwise splendid marketing structure. Finally, they’re ready to correct the oversight. People who live in the United States can now exchange money via the new Facebook Messenger app. The process is seamless enough that you should devote a large portion of your resources to enabling in-app purchases. Note that there are current limitations that will eventually go away. The primary one is that you must use a debit card rather than a credit card for payment. As long as that’s not a problem, this functionality is already available via your phone or personal computer. Facebook’s billion users are all potential sales for your company. Use the marketing tools listed above to entice them to do business with you. By following these steps, you’ll see an increase in revenue almost immediately.